Professor Tan is conducting fundamental research in materials science and processes related to electronic materials. He and his colleagues have originated the study of the subject of intrinsic gettering which is now widely used to improve yield in integrated circuit fabrications using Czochralski silicon. Primarily because of this work, the semiconductor industry granted him the SEMMY Award in the materials category in 1987. SEMMY is one of the highest awards the industry gives. He has also studied the basic aspects of the following topics in silicon: precipitation, kinetic process of defect evolution, impurity diffusion mechanisms and point defects. These studies have led to greater understanding of the structure and properties of defects in silicon. 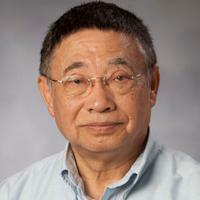 Since 1986, his research interests have also included III-V compound semiconducting materials. He is a recipient of the 1994 Alexander Von Humboldt Prize. Tan, TY, Point Defects and Diffusion in Semiconductors (2017), pp. 239-319 [10.1016/B978-0-12-804287-8.00005-1] [abs]. Sopori, B; Basnyat, P; Devayajanam, S; Tan, T; Upadhyaya, A; Tate, K; Rohatgi, A; Xu, H, Dissolution of Oxygen Precipitate Nuclei in n-Type CZ-Si Wafers to Improve Their Material Quality: Experimental Results, Ieee Journal of Photovoltaics, vol 7 no. 1 (2017), pp. 97-103 [10.1109/JPHOTOV.2016.2621345] [abs]. Sopori, B; Devayajanam, S; Basnyat, P; Tan, T; Upadhyaya, A; Rohatgi, A; Xu, H, Dissolution of oxygen precipitate nuclei in N-type CZ Si wafers to improve their material quality: Experimental results, 2017 Ieee 44th Photovoltaic Specialist Conference, Pvsc 2017 (2017), pp. 1-3 [10.1109/PVSC.2017.8366188] [abs]. Li, N; Li, W; Liu, L; Tan, TY, A nucleation-growth model of nanowires produced by the vapor-liquid-solid process, Journal of Applied Physics, vol 114 no. 6 (2013), pp. 064302-064302 [10.1063/1.4817794] [abs]. Sopori, B; Tan, T; Rupnowski, P, Photovoltaic materials and devices, International Journal of Photoenergy, vol 2012 (2012) [10.1155/2012/673975] [abs].